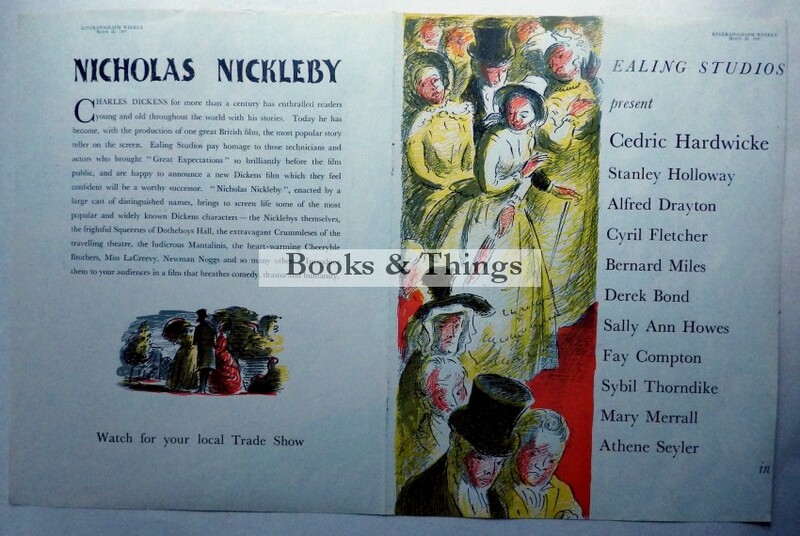 Edward Ardizzone: Nicholas Nickleby trade advert. Ealing Studios 1947. 28 x 43cms. Vertical fold and 4 small staple holes. 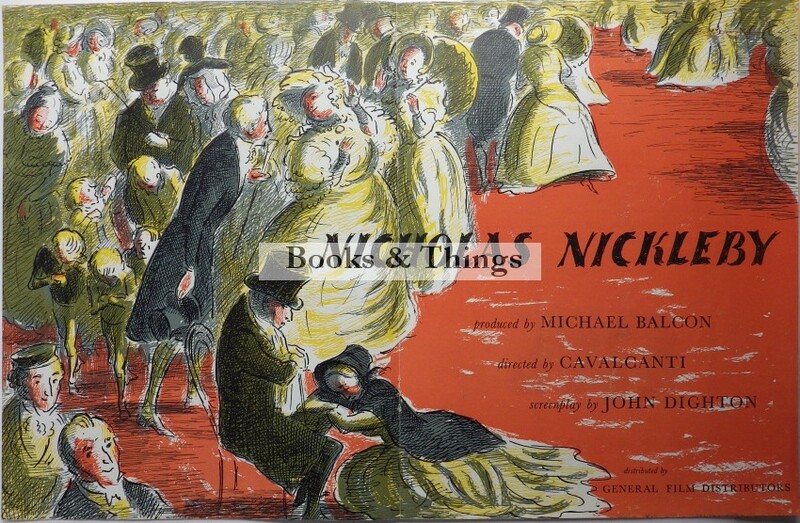 Ardizzone did several posters for this film, in different formats and with different images, but all done in lithography. This is a line drawing with added colour. There are a few differences in the composition from the lithograph as can be seen by comparison. Strangely too there is more detail at the top of the poster but less at the bottom than the lithograph. There are 2 colour drawings on the verso.A rare item. Category: Film Posters. 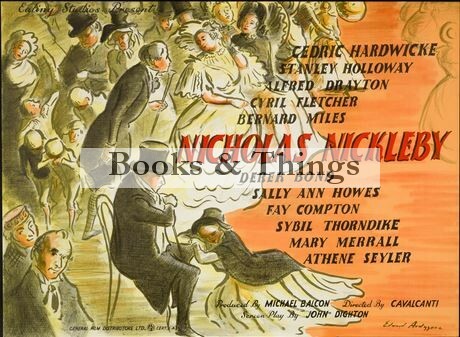 Tags: Edward Ardizzone Nicholas Nickleby poster, Edward Ardizzone poster.